Do you find container design a frustration? 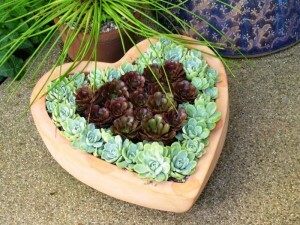 A terra cotta heart-shaped container, filled with succulents. Recently, Andrew Buchanan, a photographer friend and former Seattle Post-Intelligencer colleague, told me that Slides.com is the best value for scanning 35mm slides into digital files. It costs about $1.00 per slide, which is a good bargain compared with $2.50 per slide that local labs charge. As an experiment, I sent 44 cardboard- and plastic-framed slides that have resided for years in a Kodak carousel tray to Slides.com to see what they could do. Kay at Slides.com emailed the files to me today – just in time for tomorrow’s lecture. As it turns out, the digitals seem crisper and brighter than the originals…and they can be manipulated, cropped and re-sized. Pretty handy! Happily, my talk’s opening slides look great. And they are very sweet. 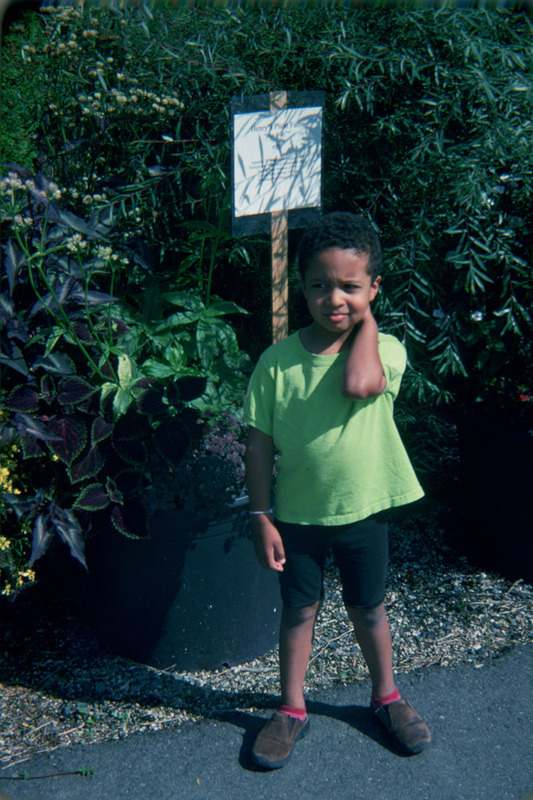 The little boy you see above as a baby and at left as a bored toddler who I dragged to a container plant trial is now 14 years old, about to begin High School in the fall. Time certainly flies – in the garden . . . and with children! This entry was posted on Tuesday, June 14th, 2011 at 11:26 pm	and is filed under Creativity, Gardening, General, Landscape Design, Plants, Playfulness, Writing. You can follow any responses to this entry through the RSS 2.0 feed. You can leave a response, or trackback from your own site. The family is going through old slides- THANK YOu for th resource! Those are your kids? SO cute! That remind me of photo I took with my daughter Rosie in the middle of Tulip field in near Amsterdam all you could see was her head poking out in this mass of beautiful flowers. I keep telling her she was named after my favorite flower you have given me some new ideas for pictures this summer. This is so cute ! I love taking pictures of my kids in nature. 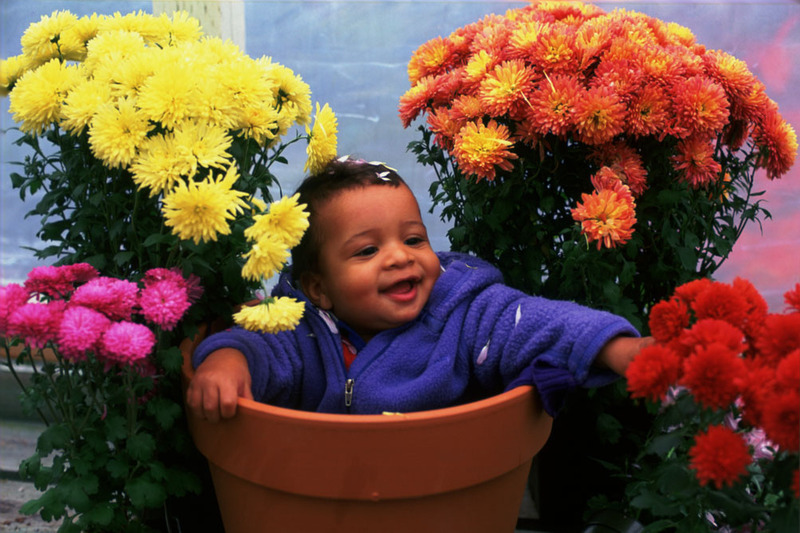 Flowers, trees, sunrises – anything goes ! We went to Italy (Sicily) last year and i almost had heart attack when my lil daughter screamed like crazy and ran to me …..it was a bee….no flowers for 3 days for her!